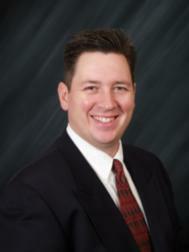 Real Estate and Beyond Blog: Stinky Laundry Room? Stinky Bathroom? Check Your Traps. Stinky Laundry Room? Stinky Bathroom? Check Your Traps. Well, we enteted a home with a stinky laundry room. Yes, it was a great bank owned property that has been sitting for a period of time. It reminded of this post that explained why this room stunk. I am always from others on ActiveRain. Have you noticed any foul odors in your basement that you just can't get to the bottom of? It might be sewer gases coming in to your home. Every plumbing fixture needs to be equipped with a trap, which is basically a dip in a pipe that water fills up. This water sitting in the trap is what prevents sewer gases from coming in to your home. 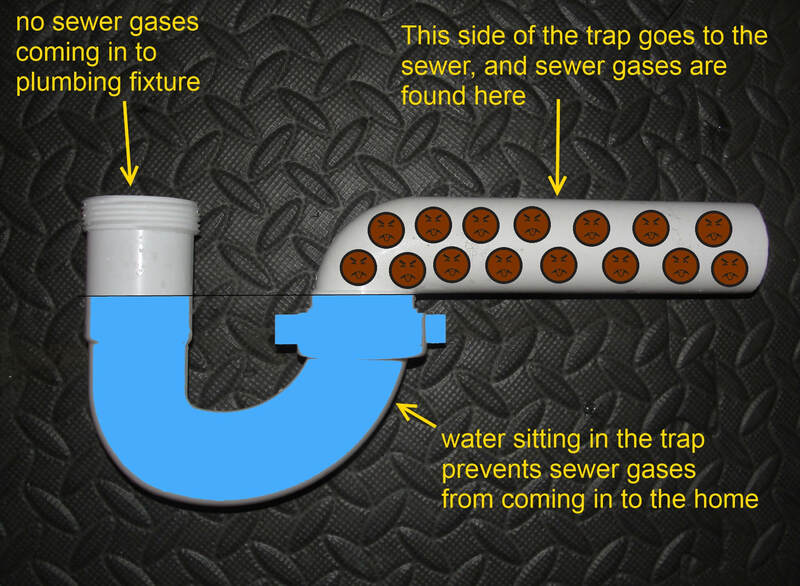 The photo below shows a "P-trap" - this is the type of trap you'll find below sinks, showers, and bath tubs. Toilets have their own built in traps, and so do floor drains. 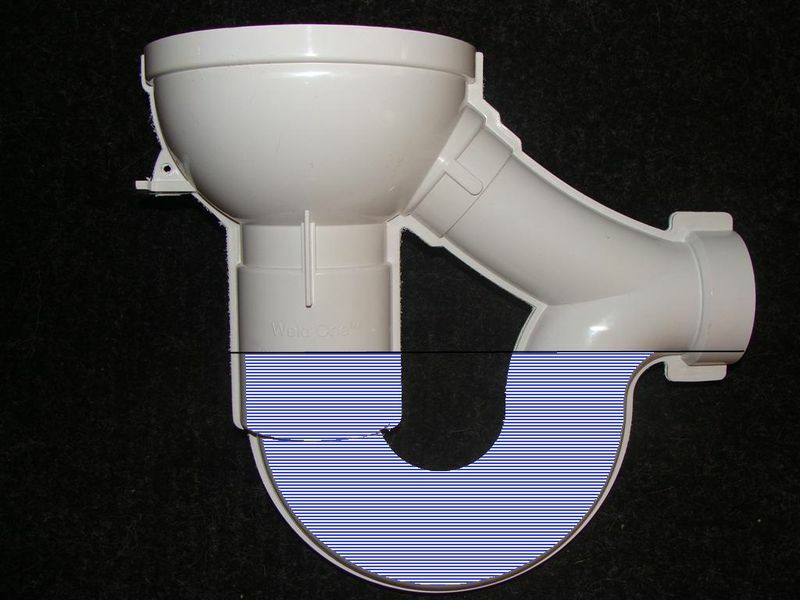 The trap on a floor drain is located below the surface of the floor - the photo below shows a floor drain as seen from the side. 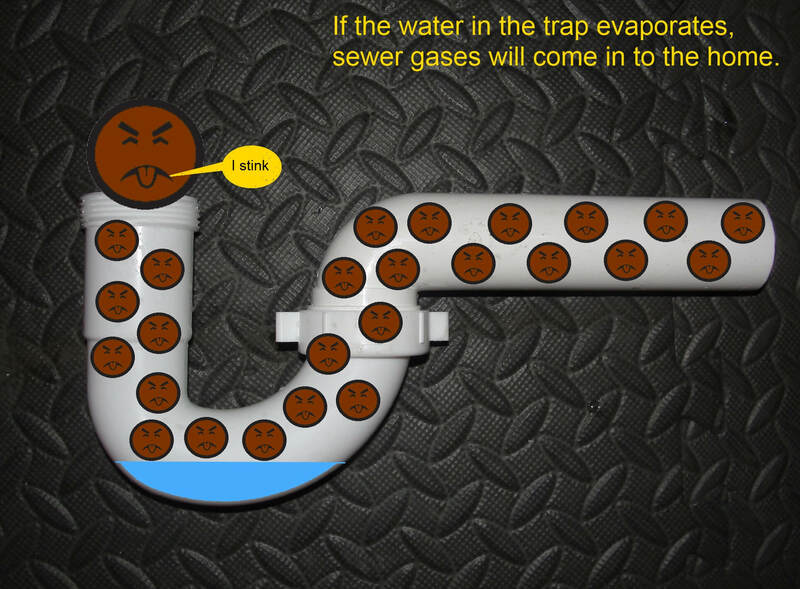 The problem that home inspectors often find in basements is that floor drains or other plumbing fixtures in the basement never have any water flowing to them, so the water in the trap eventually dries out and allows stinky, hazardous sewer gas to come in to the home. Because of this, abandoned or shut off plumbing fixtures are always listed as a hazard or required repair on Truth-In-Sale of Housing evaluation reports in Minneapolis, Saint Paul, and the rest of the surrounding cities. Floor drains are the most frequent offenders. If a floor drain doesn't have water flowing to it on a regular basis, the water in the trap will dry out. A few common things that regularly drain to floor drains and help prevent the traps from drying out are AC condensate drain lines, high efficiency furnace condensate drain lines, humidifier drain lines, dehumidifier drain lines, HRV drain lines, and water softener discharge lines. If you don't have anything draining to your floor drain on a regular basic, the water in the trap may evaporate. One fix is to pour some RV antifreeze in to the drain. RV antifreeze is cheap, sold everywhere, safe for the environment, and it won't evaporate. It's made just for this kind of thing. Another option is to periodically pour some water down the drain; you'll obviously need to do this on a regular basis, but it's free and easy to do. Basement toilets are another frequent offender. These are typically found in old Minneapolis and Saint Paul homes, and it consists of a toilet sitting out in the middle of the basement, with no privacy offered. These toilets don't get much use, and the water in the bowl eventually dries out. If you have an abandoned toilet in your basement, have it removed and have the opening to the sewer capped off. Abandoned standpipes can be another source of sewer gases. 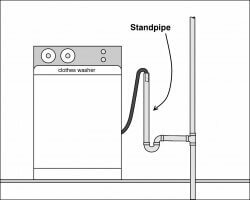 A standpipe is a stand-alone trap that typically receives the discharge water from a washing machine. 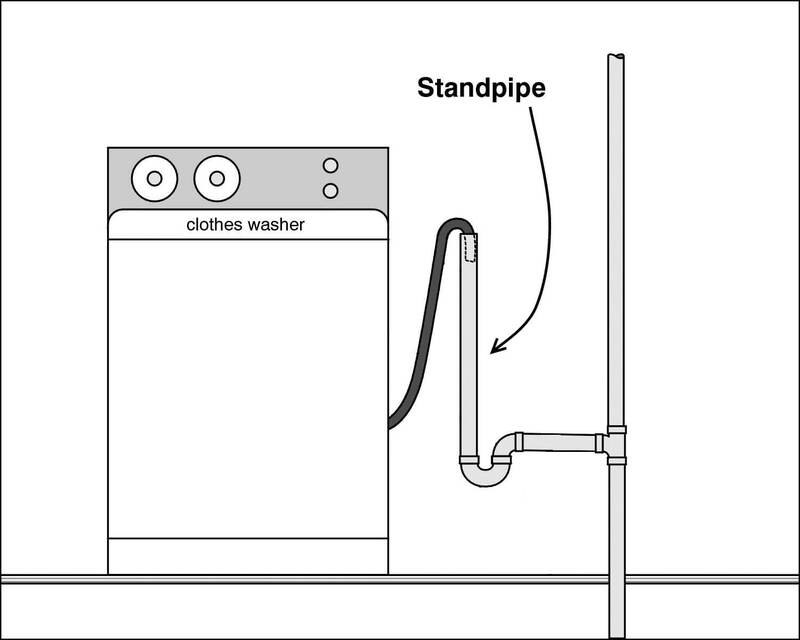 If the washing machine gets moved and is not longer discharging to the standpipe, the water will eventually evaporate. The fix for an abandoned standpipe is to cap it off or remove it. Infrequently used bathrooms are the final common offender. In larger homes with guest bathrooms that never get used, the water in the sink, toilet, or tub / shower can evaporate. As with floor drains, the fix is to pour some RV antifreeze in to the fixtures, or remember to run some water through them every few months. Easy. Very nice post and instructions. Hope you have a great weekend. Thank you for the for all the coaching, lots of greatg information. I am constantly buying houses to flip, I see these problems all the time. Thanks Harry, its not a problem that occurs often since most of our investments are rented, but it does occur occasionally.